Thoughts of a spate of police-involved shooting of Black men threw Joel Thompson into grieving. It took some time for him to get through, but in the end the 30-year-old composer came up a musical piece titled “Seven Last Words of the Unarmed.” It has gone much farther than Thompson could have imagined since it was performed by the University of Michigan’s Men’s Glee Club. The next performance of the “Seven Last Words of the Unarmed” will be performed in Tallahassee on March 31 as part of “Created Equal,” an annual race relations event put on by Leon County government and the Village Square. It takes place at Ruby Diamond, beginning at 3:30 p.m.
“I never expected the piece to ever see the light of day at all,” Thompson said. While the timing of the musical piece might sound like Thompson’s way of protesting the shooting of unarmed Black men, he said it wasn’t his intention. He’s used more traditional ways to voice his outcry with the rest of the country over the issue. Tallahassee Symphony Orchestra will perform Thompson’s piece at the March 31 event, which organizers have billed as “Ode to Understanding.” Vocals will be performed by the Morehouse Glee Club with men from the FAMU Choir, said Mandy Stringer, CEO of TSO. Stringer said she discovered Thompson’s work in 2017 while reading a symphony magazine and immediately decided that it would be good for TSO. She set out to find the required all-men vocals and eventually settled on the Morehouse and FAMU singers. This will be the first time that TSO performs with a current social issue as the theme, Stringer said, although two years ago it performed “Requiem of Resistance,” a piece written decades ago about Jews’ resistance while in Nazi camp. The performance will precede a conversation on race relations, with Leon County Sheriff Walt McNeil and FSU police Chief David Perry. 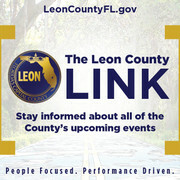 Thompson will also be a part of the panel, said Britney Smith, public information manager for Leon County. The symphony performance is ideal to set the tone, said Liz Joyner of the Village Square. “The TSO performance is really an opportunity to experience a beautiful piece of music and then to extend that into a real and productive conversation after,” she said. TSO will close its appearance with Beethoven’s Ninth Symphony. While the work by Beethoven is expected to be well received, Stringer wasn’t sure what type of reaction “Seven Last Words of the Unarmed” will get. However, she said it’s necessary because of the purpose of the event. “It’s been a little bit risky for us because not everybody wants to hear this,” she said. “But after many, many conversation, what we want to do is use the art form to inspire a dialog. Village Square has been promoting race relations in the city for 12 years. This event is one of its most innovative approaches to get people talking to each other. “At the Village Square we have a concept that we borrowed from psychologist Dr. Jonathan Haidt,” Joyner said. “It’s called the I switch. It talks about how we humans can be really transcendent at moments; all of a sudden we stop being apart from each other. We feel like we are together.